The Christchurch Cathedral was heavily damaged in the earthquakes and is currently unusable. 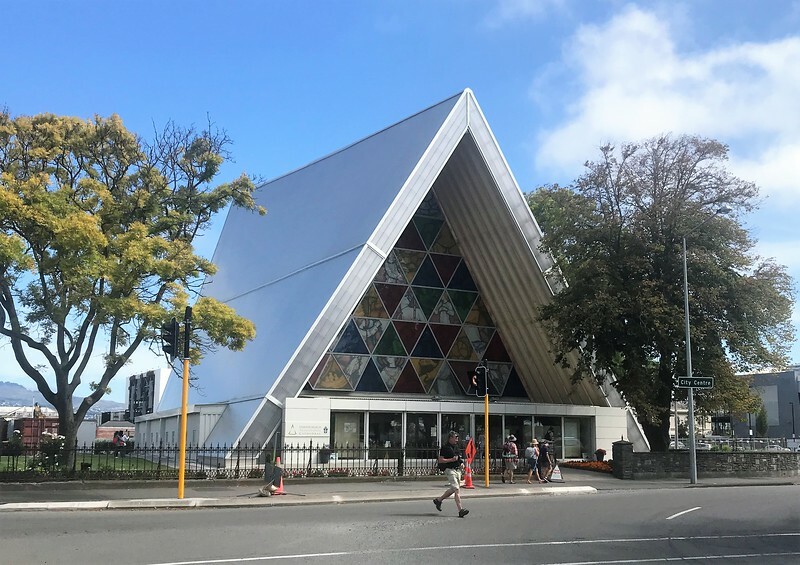 This small building is the temporary Cathedral for the archdiocese of Christchurch. It is referred to as "The Cardboard Cathedral" as much of the temporary interior décor is made of cardboard.